Photo via Visit Greece, D. Rozaki. Photo via Flickr, Jean-Paul Remy. Photo via Flickr, Ava Babili. Photo via Flickr, Irene Vlachou. Floating oases, a stone's throw from Athens. Considering there are roughly 6,000 Greek islands and islets dotted across the Mediterranean Sea, it seems unfair that only postcard-perfect Santorini and the party paradise of Mykonos are afforded a spot on most travel bucket lists. 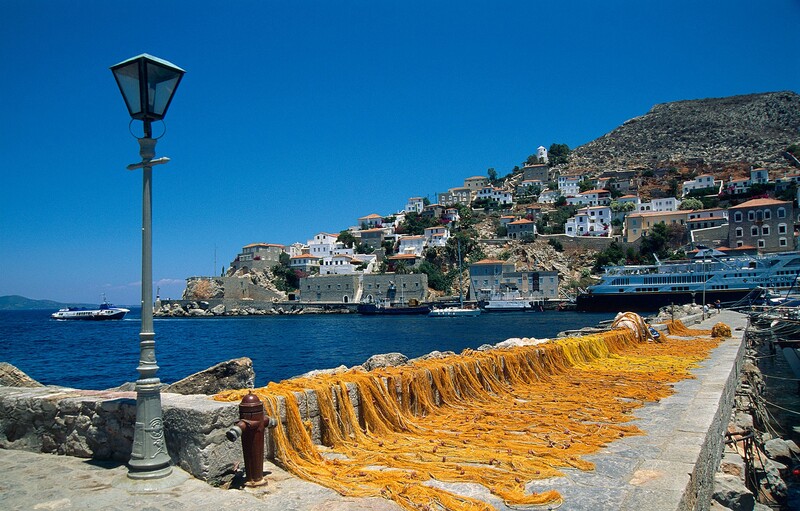 Located a short ferry ride from Athens’ main port, the less frequented yet equally beautiful islands of the Argo-Saronic Gulf make for a refreshing getaway—complete with marvelous beaches, scenic views, and a wealth of history. Here, an introduction to four Argo-Saronic islands that are certainly worthy of any bucket list. 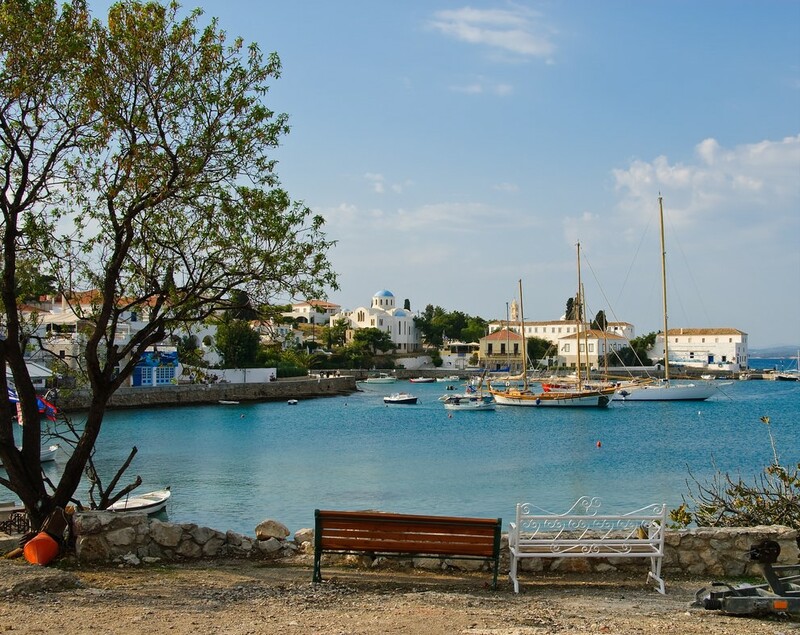 The island of Spetses has an effortless elegance and rich history. Honking sounds are a rare occurrence here—private vehicles are banned—so instead, people travel by bicycle, motorcycle, or horse-drawn carriage. You’ll find the latter click-clacking along the small port of Dapia where neoclassical houses with marble balcony columns overlook azure waters. In the harbour, a statue of Laskarina Bouboulina stands tall as an ode to the island’s naval heritage. Bouboulina became a war heroine for her role in the 1821 Greek War of Independence and today, her 300-year-old mansion in Spetses serves as a museum. If Spetses had an artistic sister, it would no doubt be Hydra. The island has long been a sanctuary for writers and painters around the world. The 18th- and 19th-century stone mansions built amphitheatrically around the island’s quaint harbor lend Hydra a sense of grandeur, while the complete absence of motor vehicles creates an atmosphere of utter serenity. American writer Henry Miller, and Canadian songwriter and poet Leonard Cohen are among those who have found inspiration on this island. With cozy seaside fish taverns, floating fruit markets, and world-famous pistachios, there are plenty of reasons to visit Aegina—but a main draw continues to be the ancient Temple of Aphaia. 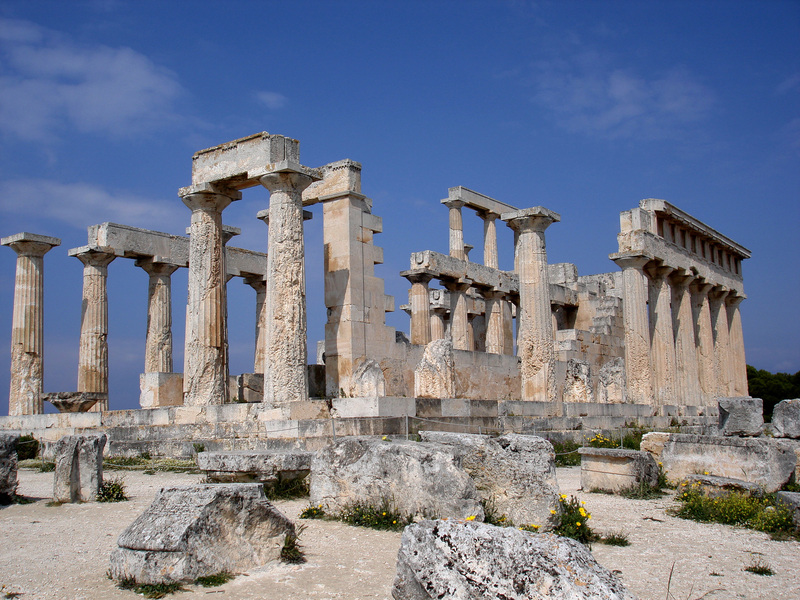 Situated atop a 160-metre peak, the sanctuary complex is dedicated to the Greek goddess Aphaia, for which it is named. The island’s spiritual side continues to show in the 38 stone chapels that pave the way to Aegina’s old town, Paleohora; its ruins stand on top of a hill, hidden behind pine trees. A mere 14-square-kilometres in size, Agistri was once a vulnerable target for pirate raids, and was abandoned in the late 17th century. Since then, however, people have slowly made their way back to the island and today, there are 1,000 permanent residents and around 4,000 visitors in the summer. 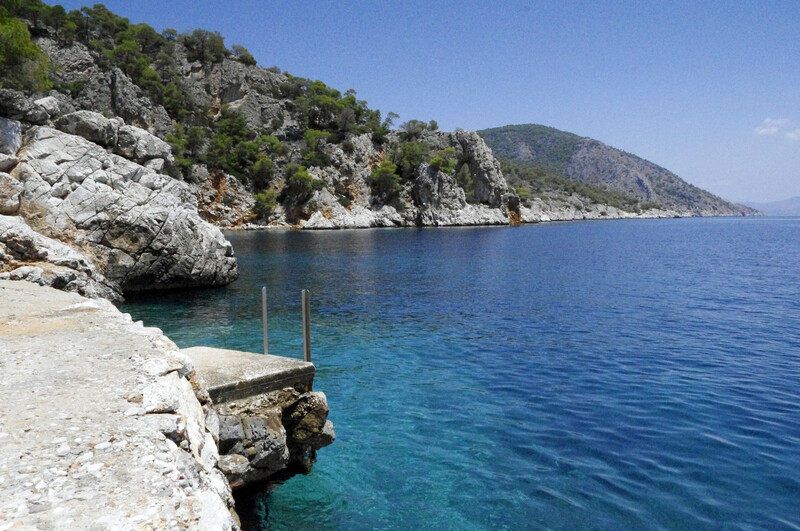 In spite of its small size, Agistri shines for its landscape of white sand beaches and lush forests. Fuschia and violet bourgainvilleas are found throughout the island, adding vibrant pops of colour alongside white churches and the emerald sea. The sunset is at its most romantic at Aponisos, a secluded shingle beach with crystal clear waters, surrounded by hills of pine trees.